Harry Armstrong worked on Meath Street from the 1960s until he died last year at the age of 95. These days, his son Pat Armstrong works there in his bargain shop, offering discounted sweets, chocolate bars, and biscuits, and piles of daily essentials, from washing powder to flour. The items are close to their sell-by dates, he says, so they’re cheap. But despite talk of reducing food waste and greener living, sales aren’t great. There’s no doubt that the Liberties is changing: some older businesses, including Armstrong’s, are struggling, rents are rising, new people are moving in, new businesses are opening up, cranes are raising hotels and student accommodation. While some local residents and business people welcome the new businesses, people and developments, others fear they’ll lead to rising rents and higher prices, pushing out long-time shops and long-term residents, and breaking up the community. “There is this talk of social mix, but … there is no concerted effort to hold onto the fabric of the long generations of families who have lived here,” says Máirín Ó Cuireáin. Ó Cuireáin, a community worker at the Robert Emmet Community Development Project, is also part of a community coalition recently formed to discuss how the Liberties should face this wave of change. Pat Armstrong attributes the decline in business in his shop to a few changes: the opening of a Dealz and a Lidl on Thomas Street, and the parking restrictions in the area. Fino Fusco, from Fusco’s Café a few doors up, walks into Armstrong’s shop. He blames the lack of parking on the street for its decline, he says. In Fusco’s Café, Fino’s father, Filippo Fusco, says he’s the person trading the longest on Meath Street – since 1963. Back in the ’60s and ’70s, there were huge crowds on the street, he says. It was famous for offering good prices on everything, from curtains and clothing to groceries. Filippo Fusco recalls when there was a bus strike in the 1960s, the businesses clubbed together to run private buses from other parts of Dublin, to bring the shoppers to the Liberties. 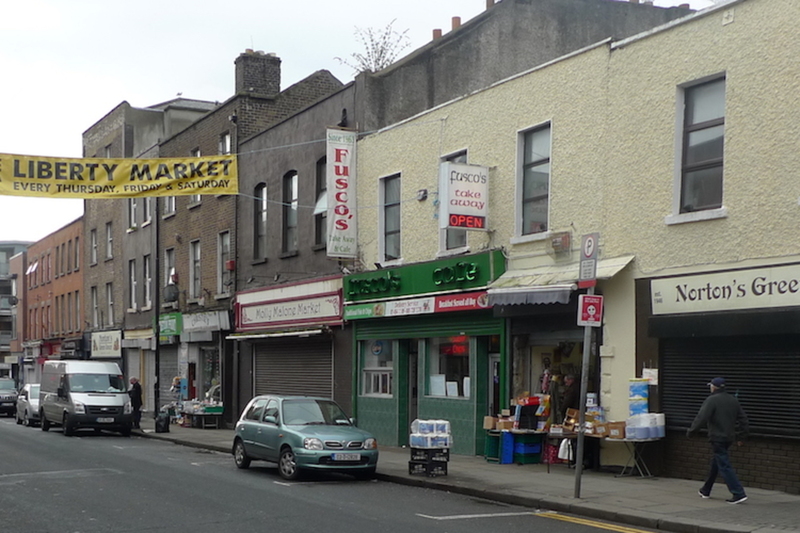 And when Meath Street was “very dark and dirty”, how local businesses got together to pressure the corporation (as the council was then called) to clean the streets and put in street lighting, which they got in the 1970s. They also got a garda stationed on the street, he says. Men were painting the outside of the Lark Inn on Monday afternoon. Inside is a comfortable traditional pub, where around 25 men and women are talking and drinking – mostly pints of Guinness and lager. The owner, John Byrne, is handling the bar alone today. 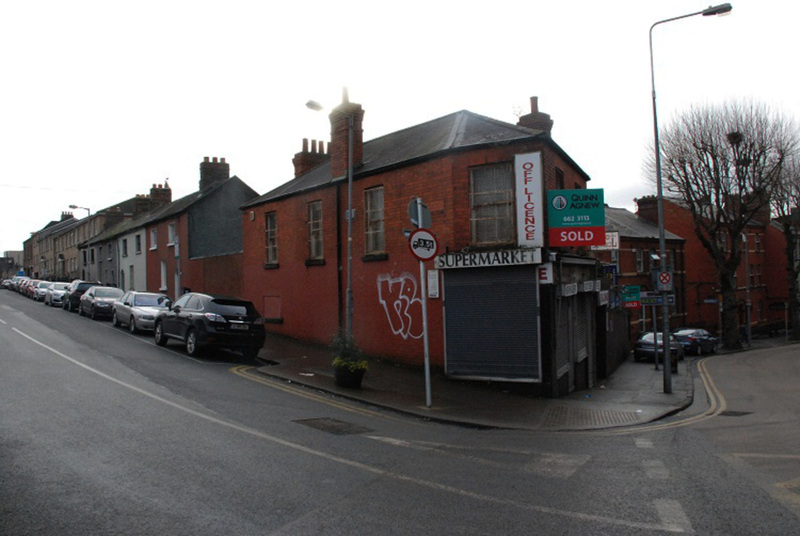 The Lark Inn is probably among cheapest pubs in Dublin city centre. Byrne charges €4.10 for a pint of Guinness and then offers a discount of 50 cent on each pint for old-age pensioners. Home-made soup and a sandwich is €5, he says. He often works alone to help keep staff costs down, but it is difficult to keep prices low because of rent, rates, and insurance, he says. Fino Fusco says that the new businesses that are opening up in the area don’t cater to the locals. Some are too expensive, he says. But John Mahon, who owns Lucky’s, a newish bar and pizza joint next door, says he is constantly reminded that a pint of Guinness is cheaper next door – but he is keen to attract all kinds of people through the doors. The Liberties has a really strong identity, and there is the feeling that everyone knows everyone else. That’s what makes the area so special, says Mahon. “We are conscious we are opening in a very traditional area, and I’m making sure I get to know people, getting to know my neighbours, and, to the last person, we have had positivity, support and a welcome to the area,” he said by phone on Tuesday. Many of his customers live, work and study in the area, Mahon says. Some of them are originally from the area, and he hopes to welcome more. “We absolutely have them, not maybe as much as the place that was here before us, but they come in they check it out and they either like it or they don’t,” he says. Fusco hopes that the new hotels being built in the Liberties will to keep more tourists in the area, and he might get a few extra customers. Researchers often look at a couple of statistics when they’re trying to work out how a neighbourhood is changing, and if it might be undergoing what it known by some as gentrification, pushing out lower-income and working-class residents. Figures from the last two censuses for the electoral division called Merchants Quay B, which stretches north from the Coombe to Thomas Street, taking in Meath Street and Francis Street, show some changes. The percentage of people who said they were either professional workers, or managerial and technical workers, rose from 28 percent in 2011 to 31 percent in 2016. Meanwhile, the percentage of people with a BA or higher rose from 45 percent in 2011, to 56 percent in 2016. The electoral division called Merchants House A, which covers from north side of Thomas Street up to Usher’s Quay, seems to have seen less change between the two censuses. The percentage of people who said they were either professional workers, or managerial and technical workers, fell from 19.6 percent in 2011 to 19.3 percent in 2016. Still, the percentage of people with a BA or higher rose from 32.5 percent in 2011, to 39 percent in 2016. Sinn Féin Councillor Críona Ní Dhálaigh says people often don’t realise how gentrification can mask poverty in an area, and affect services. As new, wealthier people move in, it “skews” the figures on deprivation for the overall area, and so the area might no longer be regarded as deprived, she says. Locals could actually lose some of their services, she says. Opinions differ among locals about the development and regeneration of the area, says Ó Cuireáin, the community worker at the Robert Emmet Community Development Project. Several community representatives and residents’ groups in the Liberties have come together to form the Community Organisations and Residents Network (CORN), she says. Within the group, views vary, she says. “Some people are saying it is good for jobs and it’s great that buildings aren’t derelict anymore,” Ó Cuireáin says. Others are concerned that locals aren’t being properly consulted on developments, she says, and worry about the lack of affordable housing. She also fears that divisions could emerge too between newer ethnic minority communities and the white Irish population, she says. 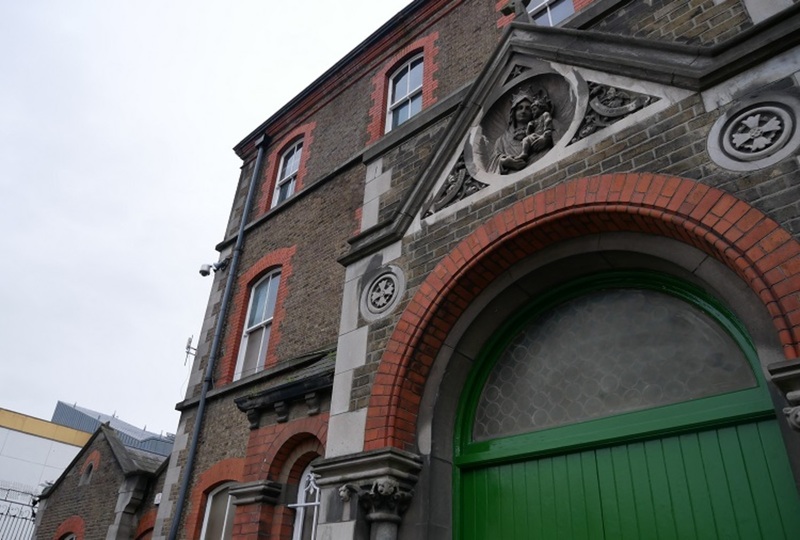 As plans for redeveloping nearby Newmarket Square progressed through the council last year, Sinn Féin’s Ní Dhálaigh said she thought there needed to be some kind of local “planning monitoring committee”, for residents to be alerted at an earlier stage to possible developments. Some local Liberties residents have been expressing concerns about gentrification recently, said Ní Dhálaigh, earlier this week. But “they are more worried about it becoming another Temple Bar”. Some are concerned about the number of hotels and new student-housing developments, she said. Especially given the lack of new housing being built. 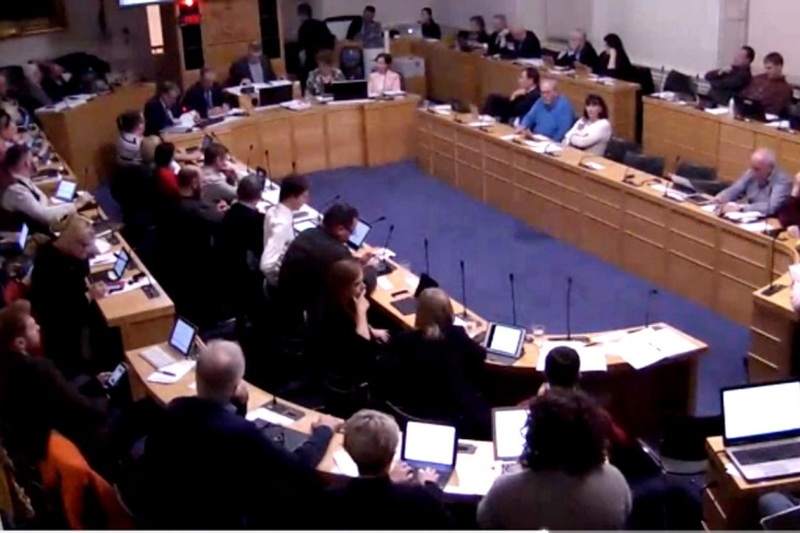 A monitoring committee could bring together all of the stakeholders, residents and community groups, Ní Dhálaigh said. There haven’t been any new social-housing projects built in the area for eight years, and many locals can’t afford the housing that is available there,Ní Dhálaigh says. “The heartbeat of the Liberties was always the residents, and now they are worried that those young people growing up won’t stand a chance of being able to live near their network of friends and family,” she said. According to figures from Daft.ie, the asking price for a three-bedroom house in Dublin 8 increased from €340,000 at the end of 2016 to €416,000 at the end of 2017, a rise of 22.4 percent. Stephen Coyne, the programme coordinator with the Liberties Business Area Improvement Initiative, says that there is an established community of people in social housing which will provide “a break” on gentrification; those living in social housing won’t have to move out because of rising rents. The council also has to balance the housing needs against the need for community facilities, green spaces and open public space, says Labour’s Moynihan. “The area is undeniably changing dramatically,” says Coyne, of the Liberties Business Area Improvement Initiative. 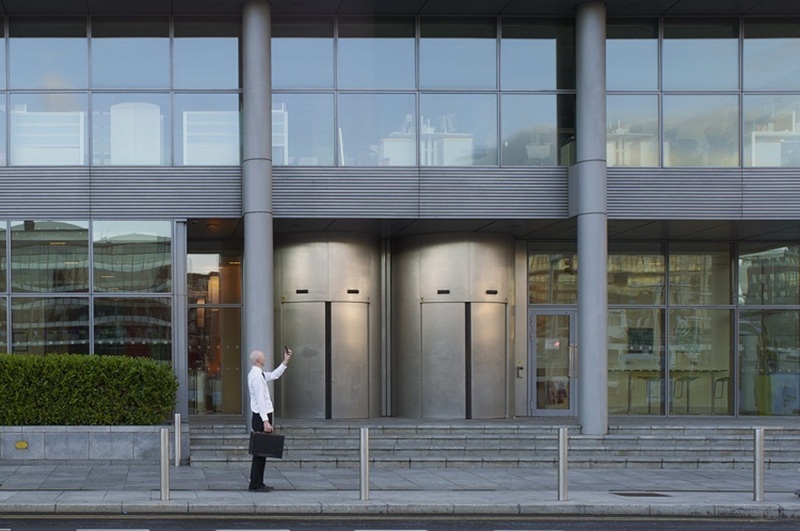 His job is to “galvanise the business community … and to make the area attractive for investment”, he says, as the Liberties makes up around a quarter of the city centre, and so it should have a mix of different uses. Most businesses in the Liberties that Coyne has engaged with are strongly in favour of investment, he says. The hotels will help keep tourists in the area and benefit most local businesses, he says. The area has a strong independent retail tradition, and it is changing as shopping is changing, he says. He doesn’t want to try to manage who comes in and who stays. “There is no way of controlling businesses coming in and businesses have a right to set up shop,” he says. 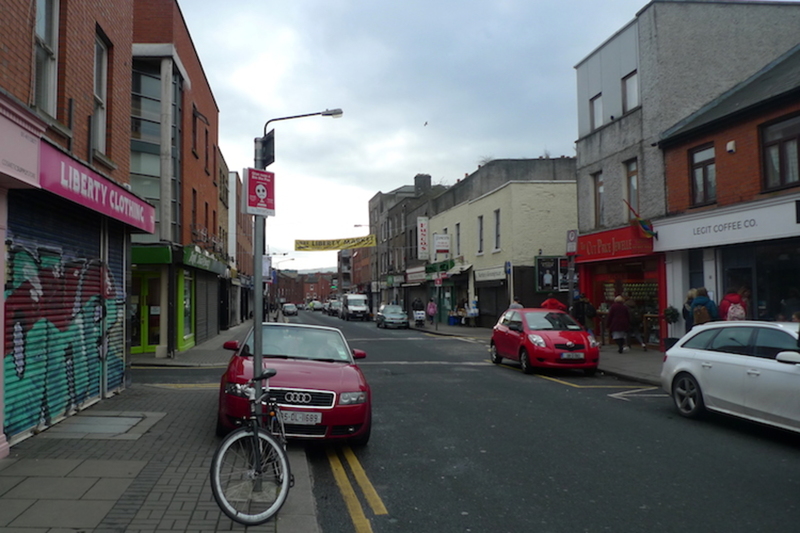 Meath Street needs to change, says Coyne. It has physically declined, many buildings and streets need to be renewed, and that requires investment. What is sometimes called gentrification “is often just basic investment in an area”, he says. But Ó Cuireáin, the community worker, fears that many existing businesses won’t survive the changes. “It would be great if Dublin City Council had a really progressive plan, which they don’t,” she says. They could waive rates for struggling businesses that have been in the area for decades, she says. At the Lark Inn, Byrne suggested the same. 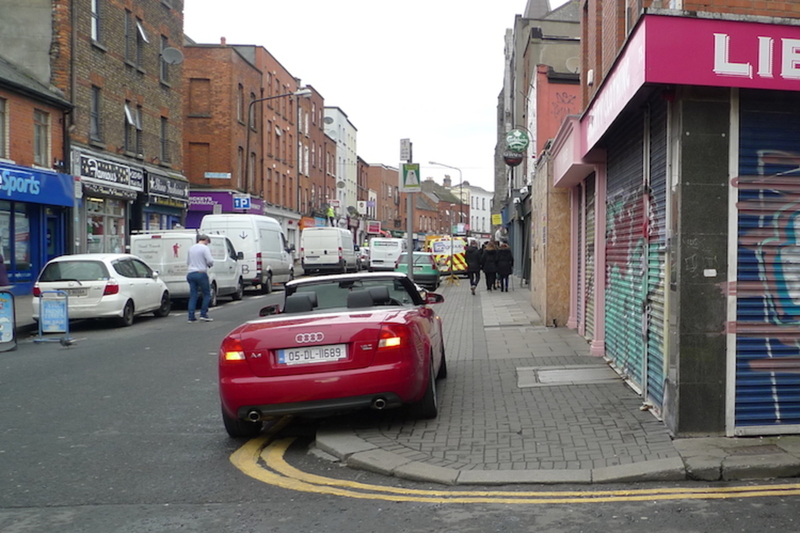 Armstrong, who runs the bargain shop, wants the council to promote Meath Street as a market area, he said. Coyne says he doesn’t think it would be fair to offer fixed rents or rates to certain businesses. “I don’t think that’s possible. That’s just not equitable as well,” he says.